The device looks like a hammerhead shark head and as any urban cyclist knows, out there on the streets, you’re pretty much navigating shark waters. 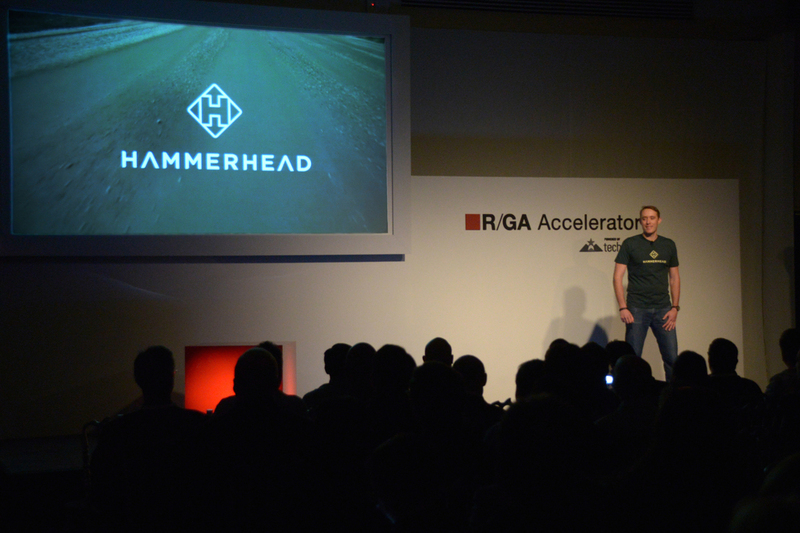 Considering that bicycles outsell cars and that shared bike programs are expanding in cities around the world, Hammerhead’s timing couldn’t be better. The device connects to your handlebar, you program your destination into your smartphone, and Hammerhead lights the way – literally. No more getting lost and having to ride up that big hill you just breezed down. By creating cyclist-centric mapping, the Hammerhead team – cyclists themselves – are building a global network of safe bike routes with relevant, meaningful information for bikers. The future of cycling is here! Available this summer ($99), they’ve already had pre-order from 35 different countries. Time to saddle up and enjoy the ride – and the light show.